Here are the last of the Terminators from the commission I'm finishing up today. The first group of 6 can be found here. 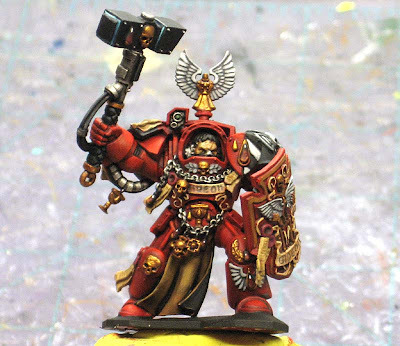 How I paint the red can be seen here. And some of you might notice the Librarian is missing from this collection. 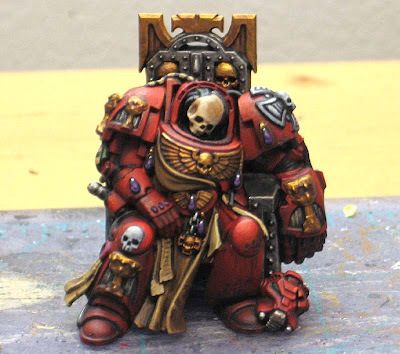 He'll have his own post once I finish up some highlights on his shoulders. They look stellar, as always, Ron. I especially like your gems. Ron, as always this is some outstanding work! 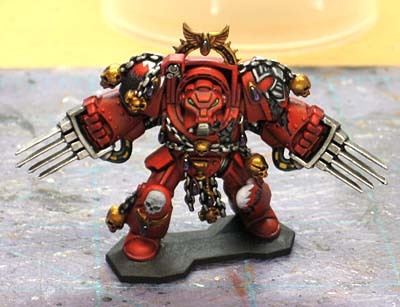 Fantastic work, better than even GW models IMO... makes me with I would have bought Space Hulk. 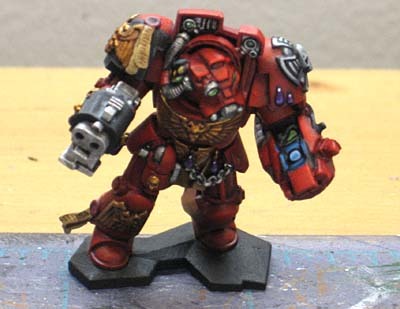 I bought the Space Hulk objectives off of ebay just to get that dead termie. It'll go into one of my city fight buildings. I seriously doubt it'll look as good as yours though! Thanks guys, wait until you see the Librarian then. If I can get the post finished, I'll put it up this weekend. 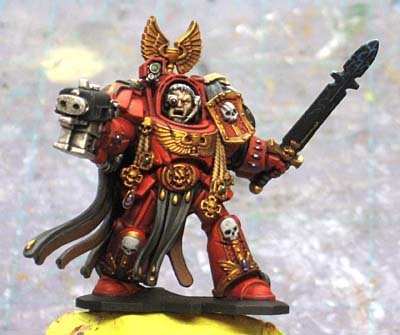 just a heads up, tons of retail copies of space hulk still to be found in toronto. anyone really desperate should email me. Wow, that red is fantastic! 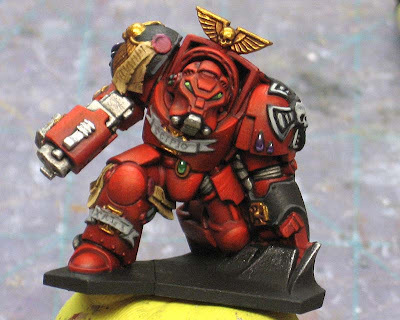 It's just right--bright enough to say "Blood Angels" without poking your eyes out. WOW! Did you make them? pinkie2: I didn't "make" them, but I painted them.